INN Interview: Obama is on a roll, and may use his new stature as the killer of Bin-Laden to lean on Israel for more concessions, says expert. The elimination of arch-terrorist Osama Bin Laden is of course a blessed event for the entire world – but the removal of Bin Laden from the ranks of Al Qaeda terrorists has in no way reduced the threat from that group, or any other terror group – quite the opposite, says Prof. Eitan Gilboa of Bar-Ilan University's Begin-Sadat Center for Strategic Studies. Gilboa compares the Al Qaeda threats of revenge to those of Hizbullah, which for three years has vowed revenge on Israel for the death of top terrorist Imad Mughniyah. “Israel never admitted that it had taken out Mughniyah, who was responsible for many terror attacks. Nevertheless they blame Israel and have vowed revenge – but so far, thank G-d, they have not undertaken the major attack they promise. "Of course they would like to carry out such an attack, but apparently they are unable to – and it remains to be seen if this is the situation with Al Qaeda. 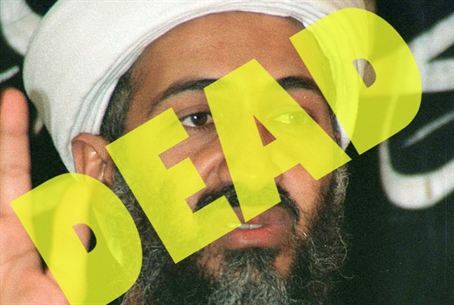 Bin Laden's organization is much bigger than Hizbullah and still has several strong branches – notably in North Africa." An Al Qaeda affiliated group was behind the attack at a coffee shop in Marrakesh, Morocco last week, as well as in Sudan, Yemen, and other countries. “In addition, the defenses in Egypt and other countries have lightened, in the wake of the civil uprisings there," Gilboa added. "That means it will be easier for Al Qaeda to infiltrate those places and cause mayhem." Obviously, the terrorist group would prefer to carry out an attack in the West, says Gilboa, but if conducting a terror attack in an "friendly" Arab country is their only option, they – or a sympathetic group that also wishes to make a name for itself – will take that opportunity, he adds. While Israel and Jewish targets around the world are also on Al Qaeda's short list of terrorist targets, a perhaps more immediate concern is the pressure Israel is likely to face to come up with a new peace plan. However, in line with the old saying by President Shimon Peres – that “the Palestinians never lose an opportunity to lose an opportunity” - Gilboa says that the American pressure may be somewhat mitigated by the planned reunification of Fatah and Hamas. “This caught the U.S. by surprise as well, and they are not happy about it,” he says. Although, as far as Washington is concerned, Al-Qaeda and Hamas are in two completely different leagues when it comes to terror, “It would be very embarrassing for President Obama to have to work with an organization that condemns his greatest achievement, as Hamas did when it slammed Obama for 'murdering the martyr Bin Laden.'"